Diet for people with O positive blood is based on providing foods that are ideal for a sluggish metabolic rate. Foods common in an ancient diet are ideal. What Is O Positive Blood Type? A person's blood type is based on the antigens found in the blood. These antigens, A and B are found on the surface of the blood cells and are uses as markers in the body. Type O blood does not have A or B antigens on the red blood cells, but contains both types in the plasma. Blood types also contain a positive or negative mark depending on the presence of the Rhesus or Rh antigen. Those who have Rh markers in the blood have a positive blood type while those who lack Rh will have a negative blood type. Therefore those with an O positive blood type have no AB antigens in the blood, but do have an Rh antigen. 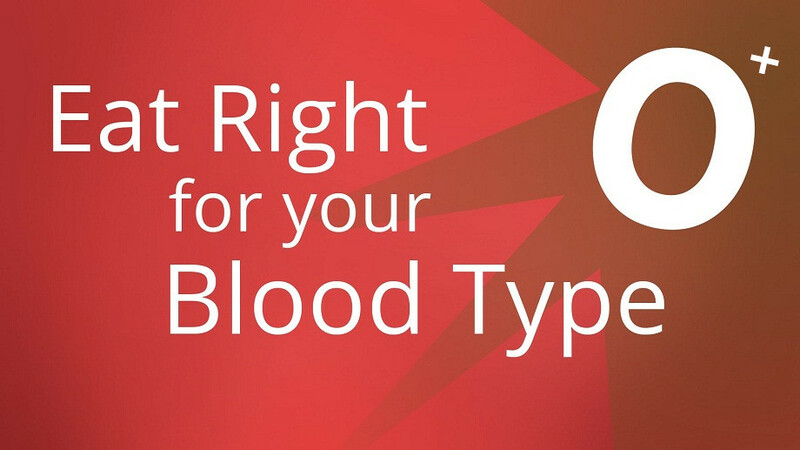 This is the most common blood type available, and is commonly sought out for donations. Those with an O blood type can donate blood to those with A, B or O blood types without the worry that their blood will be rejected. People with different blood types will need to consume or avoid different types of food in order to maintain their overall health. Different blood types stem from different bloodlines in human history, so you will be more likely to flourish if you consume a diet that is rich in the foods that would have been common in human diets during this time. Type O blood is the oldest bloodline, so much of the O positive blood type diet is based on providing nutrients that ancient people would have consumed. Those with an O positive bloodline will also need to get plenty of vigorous exercise as part of their diet routine to ensure that calories are burned effectively. Generally, those with O positive blood are recommended to consume a high protein, low carbohydrate diet. Lean meats: Lean meats should make up a majority of the diet to provide long-lasting energy. This is also beneficial to those who exercise frequently as it allows you to build muscle without having to eat an excessive amount of food. Fish such as cod, mackerel or herring are highly recommended as a lean protein source. Lean meats such as poultry or venison can also be eaten in high amounts. Pork, beef or other red meats can be eaten, but the quantities should be limited. Oil: When using cooking oils or adding oil to your diet, use lighter oils rather than those which are heavy. Corn, peanut or safflower oil can cause digestive distress to those with an O positive blood type. Instead, focus on consuming olive or flaxseed oil when cooking. Grains and dairy: People with this blood type do not digest grains and dairy products well. Their metabolism is often slow to digest these foods, which can lead to discomfort. High levels of grain can also spike the body's insulin rate, which will further slow your metabolism. When adjusting to O posItive blood type diet, dairy should be avoided all together, as should foods rich in gluten or corn. When consuming grains, focus on eating whole grains such as rice, millet, buckwheat or rye and keep the portion sizes small to avoid harming the digestive system. Type O positive people of African ancestry often find they have trouble digesting eggs as well. Legumes: Legumes and foods that inhibit the thyroid hormone can be very damaging to those with an O positive blood type. People with this blood type tend to have a low level of thyroid hormone in their system and frequently suffer from thyroid trouble. Consuming foods that increase this concern can result in excessive weight gain or an increased risk of blood clotting. Legumes also add lectins to the body which restrict the amount of physical activity that the muscles can perform and restrict your energy level. Foods in this category include corn, potatoes, Brussels sprouts, cabbage, cauliflower, eggplant, shiitake mushrooms, soybeans, avocados, coconut, kidney beans, Brazil nuts, lentils and cashews. Fruits: Due to the high acidity in their stomachs, those with type O blood benefit from consuming fruits with alkaline properties. This includes berries, plums, pears, bananas, carrots, cucumbers and celery. Fresh fruit juices containing these elements can be especially beneficial to the type O diet. Drinks: For O positive blood type diet, drink green tea, Seltzer water and wine. These provide anti-oxidants and help to promote digestion which can help you maintain your overall health. However, products which are highly caffeinated can slow the digestive system, causing discomfort and increasing the risk of developing digestive disorders. Black tea and coffee are especially harmful to those with O positive blood types. The table below will show diet suggestions for people with this blood type directly.